LAS VEGAS, Dec. 4, 2017 /PRNewswire/ -- Friday night's Vegas Strong Benefit Concert at T-Mobile Arena united the Las Vegas entertainment industry and close-knit community for an evening of live performances and heartfelt video tributes honoring victims and survivors of the October 1 tragedy. International songstress and Billboard Icon Award-winning artist Celine Dion delivered a gracious video message, saying, "We are going to let these families know we are supporting them and we will help them through this tragic loss." Las Vegas native and 29-time NASCAR Cup Series winner, Kurt Busch, introduced Las Vegas headliners Boyz II Men. The multiple GRAMMY® Award-winning group delivered smooth vocal ballads including a soulful a capella version of "It's So Hard to Say Goodbye to Yesterday," then brought the energy with "Motownphilly." 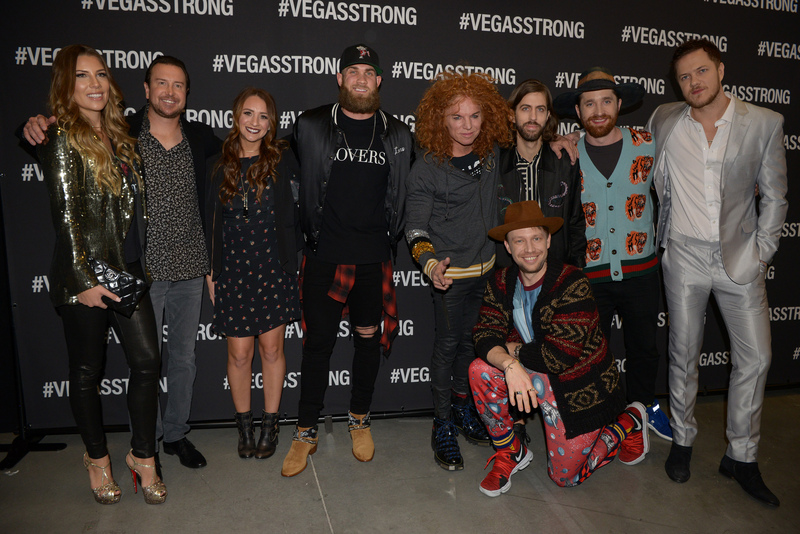 The group shared their love for the city and joy for the evening by saying, "This show is a testament to how strong Las Vegas really is." 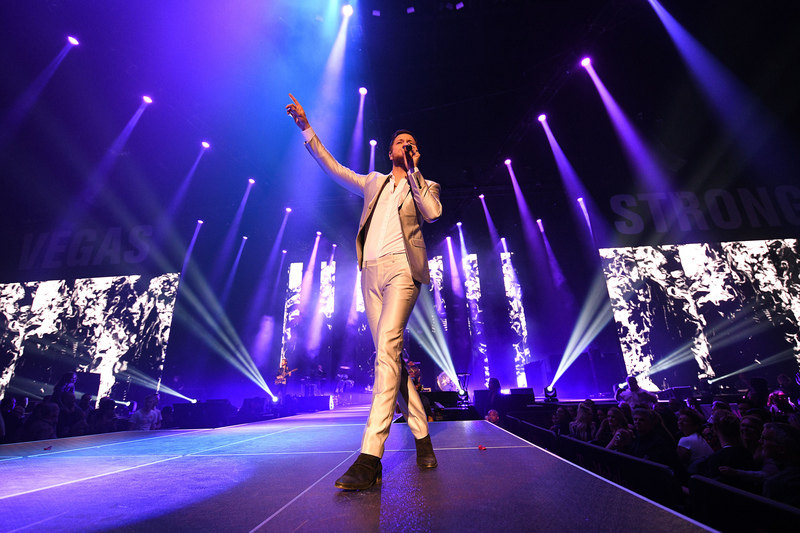 Las Vegas-born rock band Imagine Dragons took the stage in force, as front man Dan Reynolds said, "Today, more than ever, I am proud to be from this city. Music shows that there is nothing that should divide us. Tonight, we are one. We are Vegas Strong." Recently nominated for two GRAMMY® Awards, Imagine Dragons played an impassioned set of songs including "Whatever It Takes" and "Believer" before initiating a moment of silence for those affected by the tragedy. At the end of the band's set, the crowd all stood to sing along with "On Top of the World" and "Radioactive." Following intermission, David Copperfield re-opened the show with an incredible illusion that left the audience in awe. Copperfield, a legendary Las Vegas illusionist, said, "This is for the selfless people who are the real heroes of 1 October. I'm so proud of this city." Applause spread through the crowd as country superstar and T-Mobile Arena resident George Strait appeared via video, saying, "Las Vegas is a second home to me. This is a community built on strength, community and resiliency. Thank you for coming out tonight to show your support." The memorable moments continued as Blue Man Group put on a tubular performance, entertaining the audience with its silent wit and rhythmic talent. Artists from Cirque du Soleil's Mystère followed with unparalleled energy, mesmerizing the crowd with a performance of acrobatic strength and precision timing. 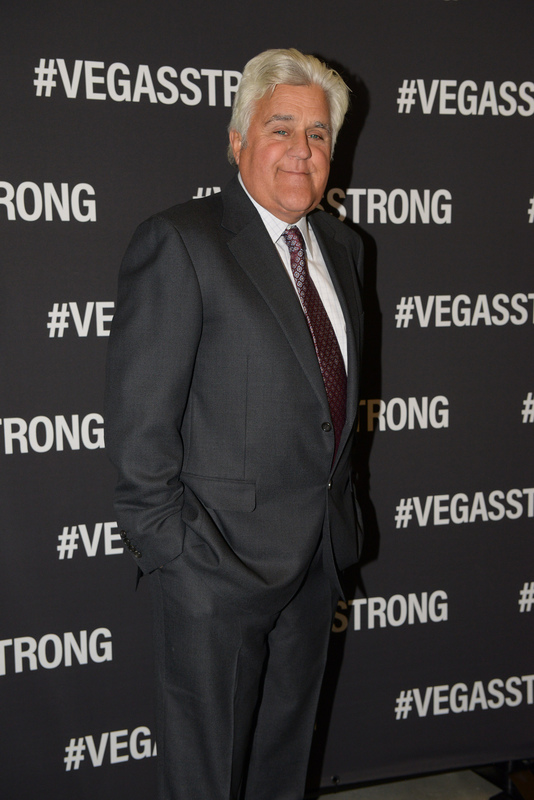 Mr. Las Vegas himself, Wayne Newton, took the stage for a heartfelt tribute, saying, "It is best to use our talent to lift people's spirits and put a smile on their face." He then introduced Elton John, who addressed the audience via video, sending his love and support with performances of "Your Song" and "Don't Let The Sun Go Down On Me." Las Vegas hometown heroes, The Killers, closed the show with an energetic set including "When You Were Young" and "Somebody Told Me." Lead vocalist Brandon Flowers expressed his pride for his city by saying, "There's enough love in this room tonight to light up Las Vegas." The band delivered a reflective performance of "Be Still" while the names of those lost in the tragedy were displayed on the screen. The band ended by sharing a little soul with "All These Things" and "Mr. Brightside." 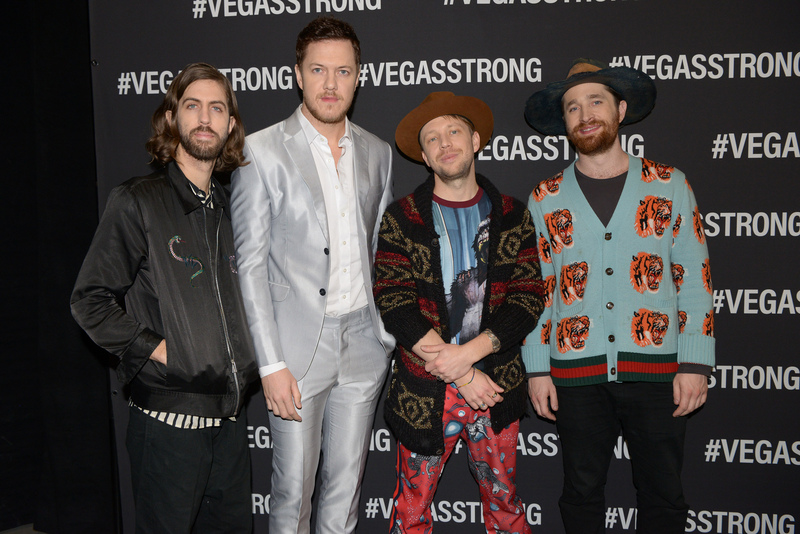 The cheerful conclusion brought all performers to the stage for a chorus of the late, great Elvis Presley's "Viva Las Vegas," with Dan Reynolds and Brandon Flowers exchanging lead vocals. The crowd swelled with emotion and pride for the Las Vegas community that has proven unbreakable.